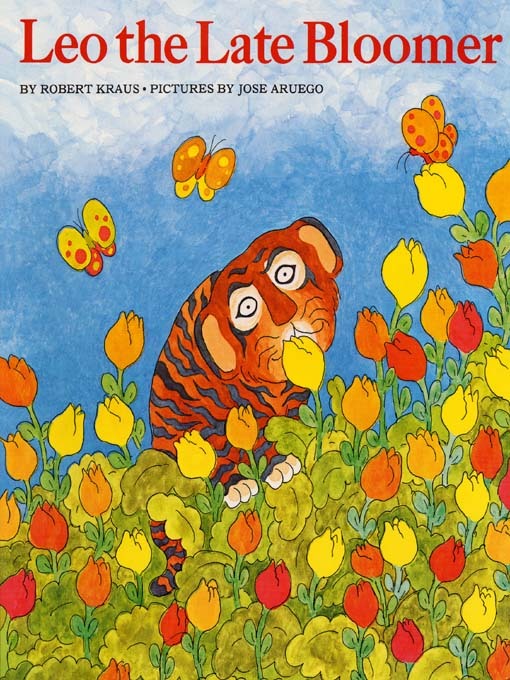 A. loves a book that I loved when I was little: Leo the Late Bloomer. Leo really goes through a rough patch where he’s not doing things right [yet] and things aren’t going well. When A. is overwhelmed by something, can’t do something right, or things aren’t going well, he dramatically recites this part of Leo the Late Bloomer. He’ll be totally frustrated, crying and screaming and moaning, while his legos have betrayed him and gone to pieces, wailing and still enunciating, “He couldn’t read! He couldn’t write! He was a SLOPPY EATER!” It is so sweet and pitiful and poignant.